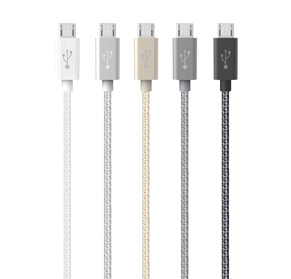 The MIXIT↑ Metallic Micro-USB to USB Cable lets you easily connect your Android device to a charger or computer. Use it to charge and sync any device that has a micro-USB port, including Android phones and tablets. The cable is ready for use straight out of the box. Simply plug it in to charge, sync media to your device, or upload data to a laptop. Designed to withstand heavy use, the MIXIT↑ Micro-USB to USB Cable can keep up with your active, on-the-go lifestyle. 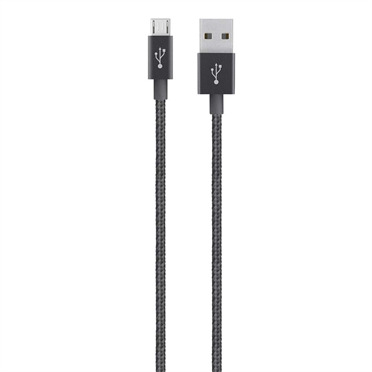 The cable is outfitted with a durable aluminum shell that helps protect it when it's stored in your backpack or bag. 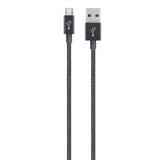 At 1.2 meters (4 feet) long, the ultra-flexible MIXIT↑ Micro-USB to USB Cable is compact enough for easy travel. It coils up for easy storage in a bag or backpack, so you can take it wherever you go. But it is also long enough to reach across a car seat or under a desk, helping ensure that you always have a comfortable connection.